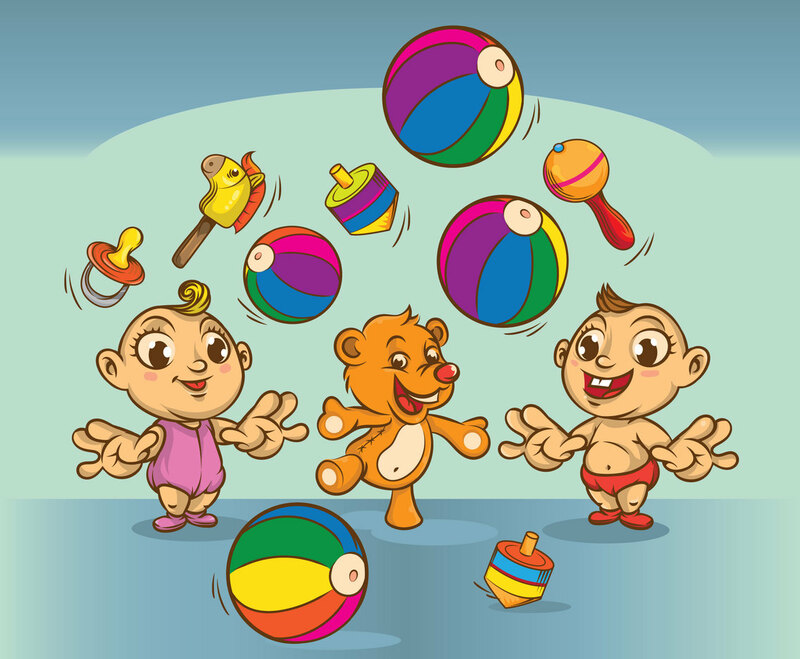 Cute Baby Cartoon playing toys with tedy bear. Contains EPS10 and Ai10 graphic format. Suitable for any print and online media. Isolated object artwork.